Home » Videos » Archive for category "Festival of the Tiny Ornaments 2018"
Festival of the Tiny Ornaments — Gather around everyone! It is time to draw! For one last time this year, lets break out the shrink plastic and celebrate the Festival of the Tiny Ornaments! 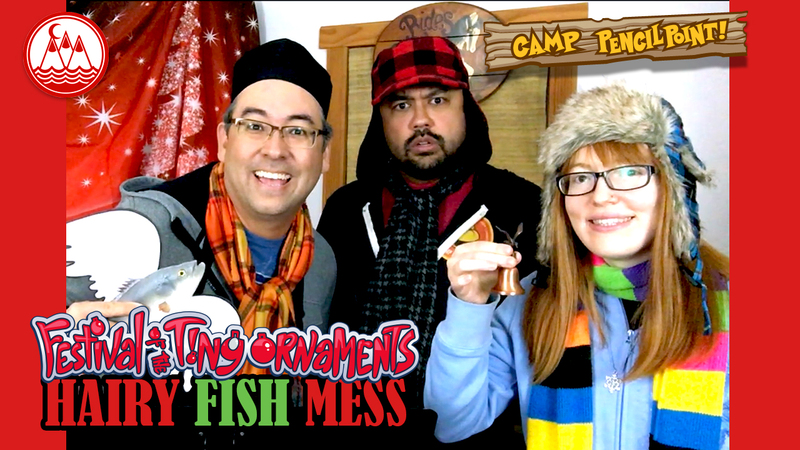 Join Joe Foo and Emily as they wish you a Hairy Fish Mess to you and your family! 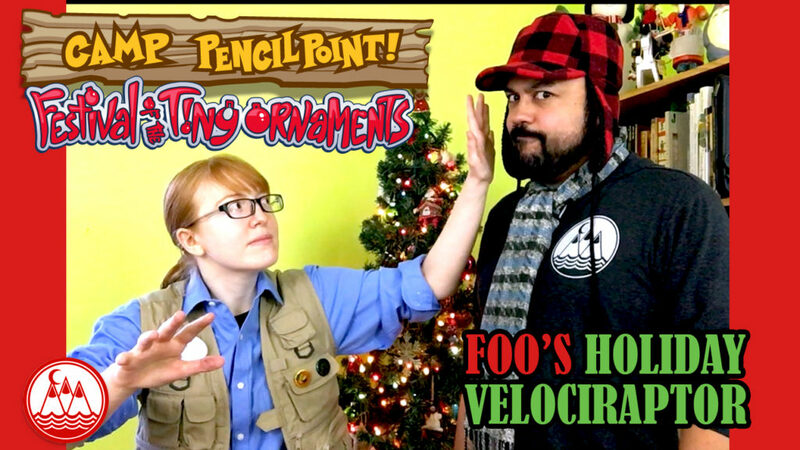 Draw along with Foo as he sketches his ornament… a holiday velociraptor! We would love it if you drew along with us! Check out CampPencilPoint.com and you can download the custom shape for this year’s ornament. For inspiration, you can view previous videos from this season. Emily’s Holiday Fox Ornament can be seen here. And check out Chef Miker’s Hairy Fish Mess Ornament which can be seen here.